One delicious step to becoming more self-sufficient is making homemade jams and jellies. There is a difference between jam, jelly, preserves, conserves, and marmalades. Jam is made from chopped or ground whole fruit, whereas jelly uses only the extracted juice of the fruit. Preserves typically contain larger chunks of fruit or even whole fruit, as in strawberry or gooseberry preserves, while conserves are made of fruit mixed with raisins and/or nuts. Marmalades are based on juice and finely-chopped citrus peel. Traditional jams and preserves depend upon long cooking time and pectin. Pectin is a thickening agent found in fruits and vegetables that is used to gel jams and jellies. It is most often derived from apples or orange peels, and can be purchased in powdered or liquid form. Quick-cooking jams require added pectin in order to thicken and "gel." In order to make these homemade favorites, you will need a heavy-bottomed pot such as a Dutch oven or the pot of a pressure cooker. (It may be best not to use aluminum as the acids in the fruits or lemon juice may react with it.) You'll want ladles, jar lifters, hot clean jars with new lids and rings, and possibly a candy thermometer. For jelly, you will also need a colander, cheese cloth or a jelly bag, and a large bowl. It's important to follow the recipe exactly and especially not to skimp on the acid (lemon juice or vinegar) called for, as acid is the key to safety and stability. Acid works with pectin to help the jam or jelly set, brightens the flavor, and helps to preserve the food. Bottled lemon juice works very well - even better than fresh, as the acid level of bottled juice is more reliable. Sugar helps the gel to set, preserves the color of the product, increases shelf-life once the product is opened, enhances the flavor of the fruit, and gives a glossy sheen to the jam or jelly. Choose fruits that are ripe (but not overripe) and free from blemishes. Some cooks think that cutting out obvious bad spots in an overripe peach is all that is needed, but the fact is that unseen colonies of bacteria have reached deep into the fruit and can cause spoilage on the shelf. Also, overripe fruit has less pectin than slightly under-ripe fruit, so it can be a good idea to use about 1/3 under-ripe fruit per batch to guarantee a good set. There are two main challenges to making jelly: getting it to set properly and keeping it clear and jewel-like. Some jellies gel at once, while others seem a bit loose at first but firm up after a few days. If it doesn't gel, you can reheat it and add a little more pectin - or just keep it as a delicious pancake or waffle syrup. Cloudiness in jelly can usually be avoided by warming the fruit gently before attempting to strain the juice off, by using several thicknesses of cheesecloth or a jelly bag to strain it through, and by avoiding the temptation to press on the solids to release the juice. If it still clouds, be assured the taste will not be affected. There are a few tests you can apply to see if your hot jelly has reached gel stage. Watch the juice as it bubbles in the pan; if the bubbles are small, it's not there yet. As they get larger and less numerous, you're approaching gel stage. If you're using a candy thermometer, watch for it to approach 220 degrees, the magic number. Another test is to see if the jelly "sheets" when you drip it from a spoon. When two last drops merge into one as they drip back into the pot, you're there! Another simple test is to put a small plate in your freezer and when you think your jelly is nearly ready, place a few drops onto the cold plate and let it cool for a moment. If it wrinkles when you push it with your finger, it's ready. If not, cook a couple of minutes longer and try again. Making jams and jellies is as much art as science, and you'll quickly get the hang of it with a little experience. 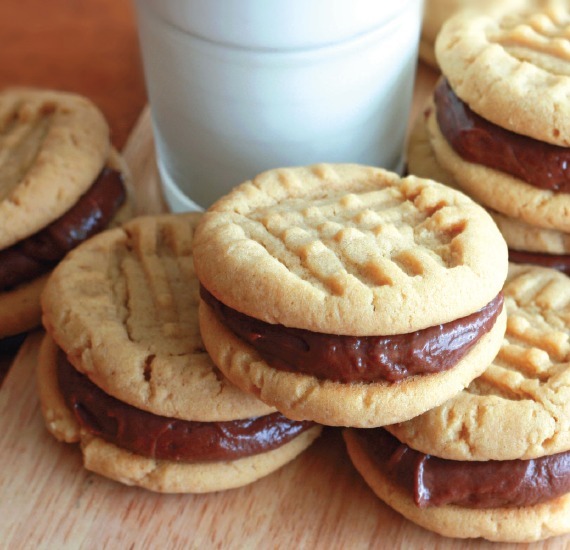 Here are some recipes to try! Wash and stem the apples, but leave the peel and core. Cut into chunks and put into a large stockpot. Add enough water to barely cover, bring to a simmer and cook until tender, about 30 minutes. Pour into a dampened jelly bag or a colander lined with dampened cheesecloth (dampening the cloth keeps it from wicking up the apple juice) and allow the juice to drain into a large bowl overnight in the refrigerator. Do not squeeze or press the bag. Measure 1 quart of the resulting juice and add it to a large saucepan over high heat. Stir in the sugar and lemon juice. Bring to a full boil that you cannot stir down. Continue to boil until the gel stage is reached. Remove from heat and quickly transfer to clean hot jars, as apple jelly sets up fast. Cap and refrigerate or process in a boiling water bath for ten minutes. Turn off heat and allow jars to rest in water for 5 minutes. Remove jars and set aside for 24 hours, then check seals and store for up to a year. One of the most creative and fun things to do in making jam and jellies is to mix compatible fruits (and most fruits are compatible). A popular combination is apricot-pineapple jam and another is cherry-apple jelly. If you are mixing fruits without a specific recipe, your safest bet is to be sure that you are using the amounts of pectin and lemon juice called for in the recipes that come in a package of pectin for whichever fruit in your mix requires the largest amount of each. For example, if you're mixing plums, which are naturally low in pectin with peaches, which are high in pectin, use the amount of lemon juice and pectin recommended for the plums to be sure of a good set. In a heavy pan, combine rhubarb, blueberries, cherries, lemon juice, and water. Cook for 2 minutes. Remove from heat, add pectin and stir thoroughly. Add sugar, stir well, and return to heat. When it reaches boiling, allow to boil for 4 minutes. Remove from heat, skim any foam off, and ladle into hot sterilized jars. Cap the jars and process for 10 minutes in a boiling water bath. Use a variety of hard pears, such as Kiefer, Southern Sand, or Chinese Sand Pears, as they will keep their texture in a preserve and not turn to mush in the cooking process. The basic ingredients are simple: 1 pound of sugar to every two quarts of peeled, cored, sliced, or chunked pears. Layer pear pieces and sugar in a heavy pot and allow to sit overnight to release the pear juice. Place over medium heat and simmer, stirring often until desired color and consistency is reached. Color can range from pale to dark amber. Ladle into hot, sterilized jars and process for 10 minutes in a boiling water bath to seal. These preserves are delicious with hot buttered biscuits, peanut butter, or cheese. Mix lemon juice into strawberries. Sprinkle pectin over berries and stir well to dissolve. Add Karo syrup, stir in. Add sugar and mix well until it is dissolved. Ladle into clean jars or plastic freezer containers and fill to within 3/4 inch of top. Cap, allow to sit on your counter for several hours, then freeze. Mix berries and sugar and allow to sit for a while on your counter and then overnight in your refrigerator to allow the fruit to soften and the juices be drawn out. Transfer berries to a large stainless-steel or enameled pot and bring to a boil, crushing and stirring the berries. Add lemon juice and stir well, continuing to cook for about 20 minutes or until the jam reaches the desired consistency. Remove from heat and rest for 5 minutes, stirring occasionally. Ladle into hot, sterilized jars, cap and either refrigerate or process in a boiling water bath for 10 minutes. 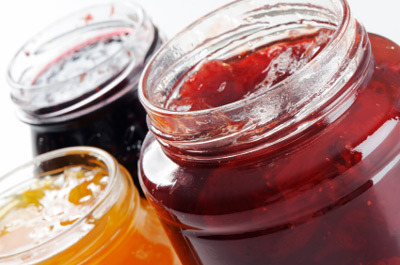 Dive into preparedness and self-sufficiency with making homemade jams, jellies and preserves. Don't wait until you find yourself in a real jam before trying these great recipes and ideas.